In recent years the NBA has experienced a fashion renaissance. It wasn’t always this way. In 1996, Allen Iverson emerged as the “next big thing” in a league ran by Michael Jordan. Jordan a businessman and cultural icon treated the game – well – like a business. He wore suits and had impeccable style. As the standard bearer of the NBA, the league followed his lead. When Jordan retired Iverson assumed the throne and with it came sweatpants, do-rags and a dark age for NBA style. The league responded in 2005, instituting a dress code. The league took a few years to re-calibrate but thanks to a crop of young new stars who embraced the new NBA dress code the NBA has emerged as a style Mecca for professional athletes. 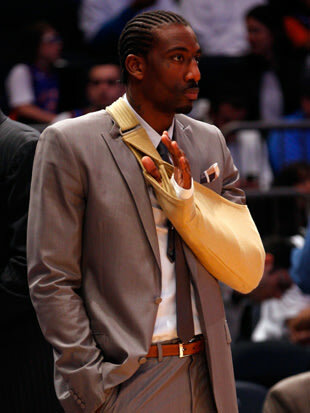 New York is the fashion capital of America and when Amar’e signed with the Knicks he didn’t disappoint. Amar’e loves wearing suits, rocking bow ties, and infusing pops of color. In 2011, Amar’e even started his own fashion line with celeb stylist Rachel Roy (clients include Michelle Obama, Kate Hudson and Tyra Banks). He’s out for the first few weeks of the NBA season with a knee injury, but the Knicks’ loss is your sartorial gain, as he will be gracing the sidelines, sure to be looking fresh. 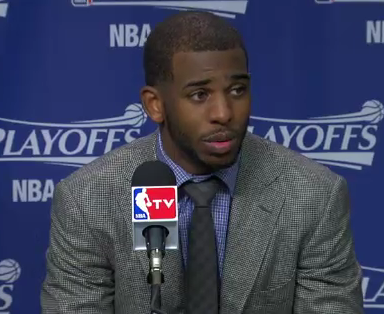 Chris Paul is one of the five best players in the NBA and he’s also one of the best dressed. While LA is known for it’s laid back demeanor and lavish lifestyles, Chris’ style is anything but. He dresses in perfectly tailored suits and understands the understated class of keeping it simple. Whether it’s a three piece or a double breasted suit, Chris knows how to compliment his look with the perfect tie and pocket square. 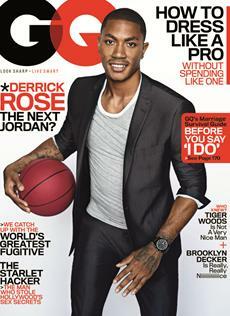 He even graced the cover of GQ’s Fall Style Playbook. Everyone has an opinion on young Russell Westbrook. Some people love his game, some hate it. Well, his style choices are just as divisive. Russell takes the nerd-chic thing to a whole new level. 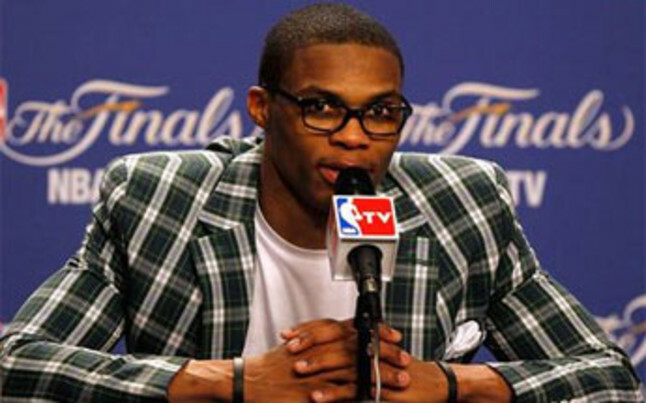 Bright bold colored frames and crazy patterned shirts are the standard for the OKC point guard. His wardrobe routinely looks like something borrowed from a MoMa exhibit. He usually keeps it casual with a short sleeve button up, but when he does throw on a tie or a jacket, he, of course, adds his own twist. 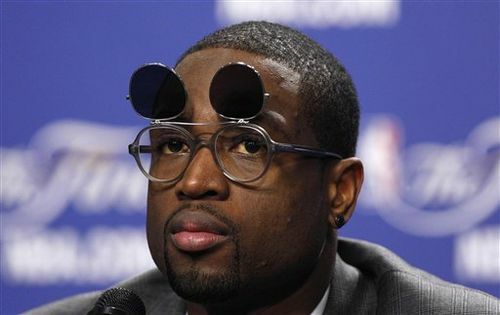 Wade has come a long way from his Nelly inspired band-aid look days. He dabbled in the nerd-chic craze before trading it in for an older more sophisticated style sense. While Wade has learned to embrace a nice suit, he still hasn’t forgot how to look cool and casual. 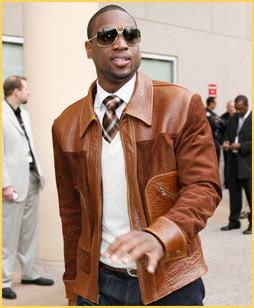 What makes Wade’s style so interesting is his comfort in trying new looks and styles. We’ve all heard it for years now. Is Lebron the next Jordan? On the basketball court maybe, maybe not, but off the court, definitely. 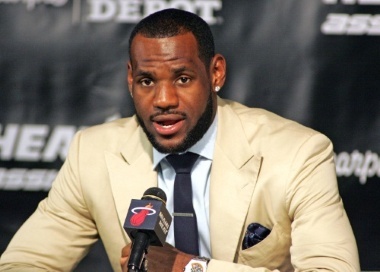 Lebron , like Michael, aspires to be more than just a basketball player, he aspires to be a businessman. That’s why sometimes his look screams more boardroom than basketball. And while he has been known to overstep his bounds from time to time, he seems to be learning what look works best for him. 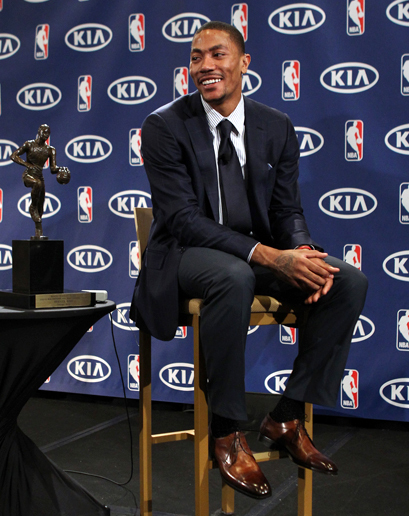 Derrick Rose is one the most relatable stars in the NBA. He’s won over legions of fans with his old school meets new school style of play. His off the court style is similar, he wears classic navy or grey suits in an updated fit. Rose is a great style icon for the next generation. 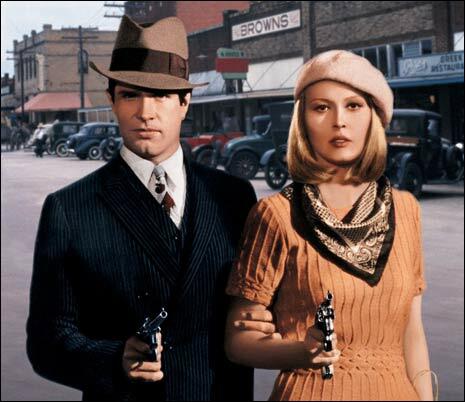 Hall of Fame point guard Walt Frazier’s nickname “Clyde” came from his style similarities to Warren Beatty in the 1967 film Bonnie and Clyde. Frazier was the first style icon of the NBA, often wearing expensive suits, fur coats and fedoras to games. He now calls games for the New York Knicks and still takes pride in his look and is absolutely fearless in his style decisions. 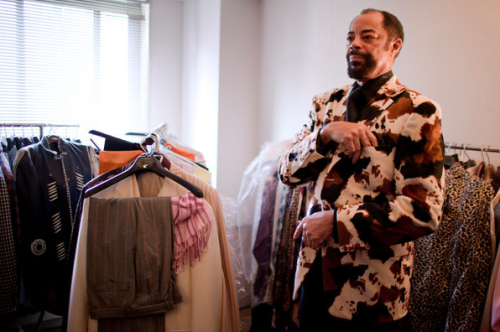 Without Clyde the NBA’s style landscape would have been completely different. Who has the best style in the NBA? This entry was posted in Polls, Sports, Style Guide and tagged amare stoudemire, chris paul, derrick rose, dwyane wade, fashion, lebron james, list, menswear, nba, polls, russell westbrook, style, suits, Walt Frazier by Greg Massaro. Bookmark the permalink.